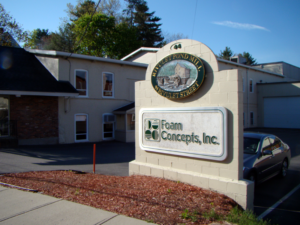 Foam Concepts, Inc. was founded over 25 years ago by industry veterans to better serve the foam packaging market with high quality products in a customer driven approach. We pride ourselves on producing a quality product that reflects on your products positively. Foam Concepts Inc. has the resources and capabilities to produce a wide range of product sizes and quantities. Our low environmental impact plant was recently redesigned from the ground up to manufacture foam products in a sustainable and cost effective way. Foam Concepts Inc. has ample warehouse and shipping docks to accommodate a range of shipping and storage needs. The plant is also conveniently located to all major shipping routes and several ports as well.